My pattern bank, a collection from various projects and employers. NY State of Mind. 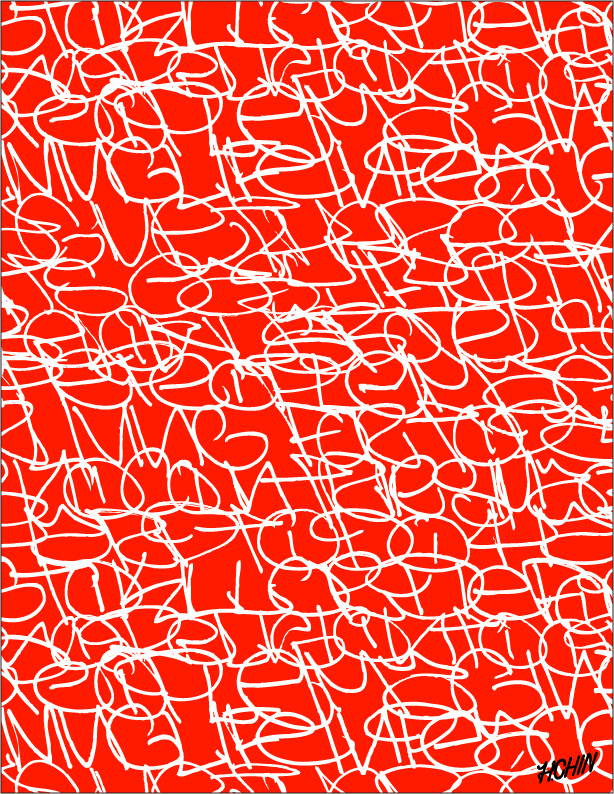 Inner lining pattern for S.T.L Snowboards. House Party. For S.T.L clothing. Dot Matrix. For S.T.L clothing. 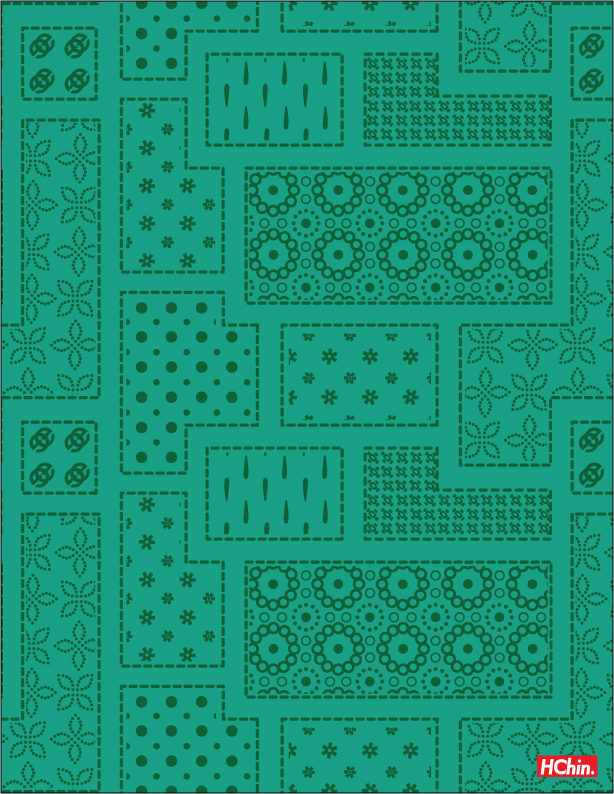 -A pattern created for S.T.L to be used on Jackets and pants. 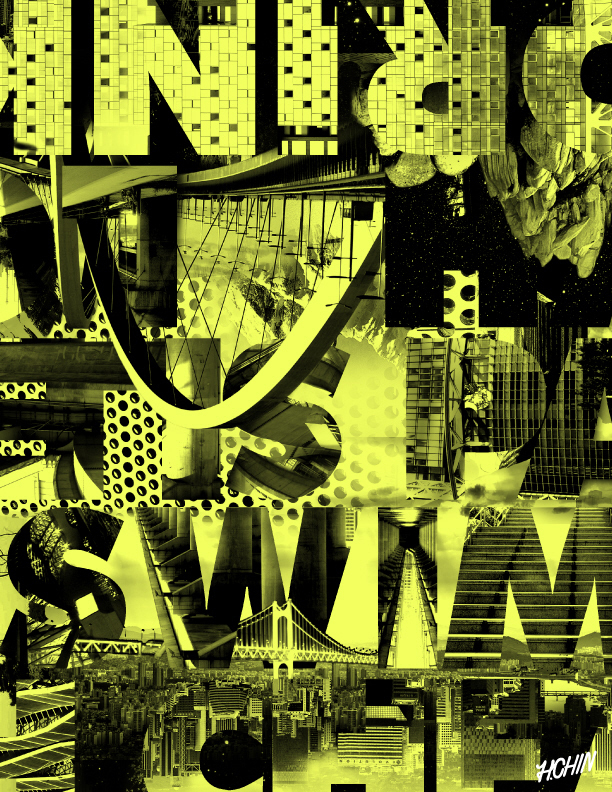 I photo collaged images from Seoul, S.Korea into and on letters of words that I think describe Seoul. 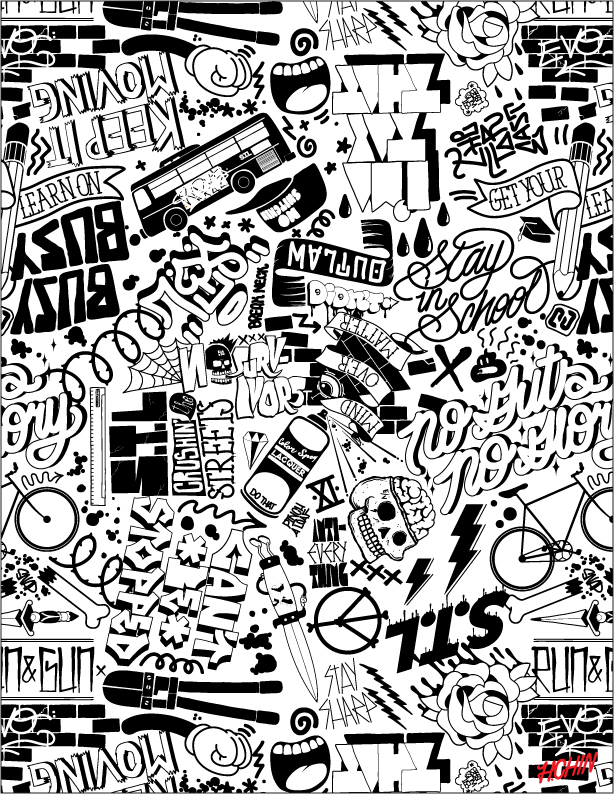 -A pattern created for S.T.L about modes of transportation rendered in a simple hand drawn style with patterned fills. 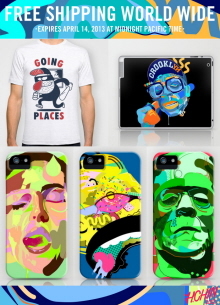 -S.T.L pattern about doodles, geometric shapes, all hand rendered. Beginning. 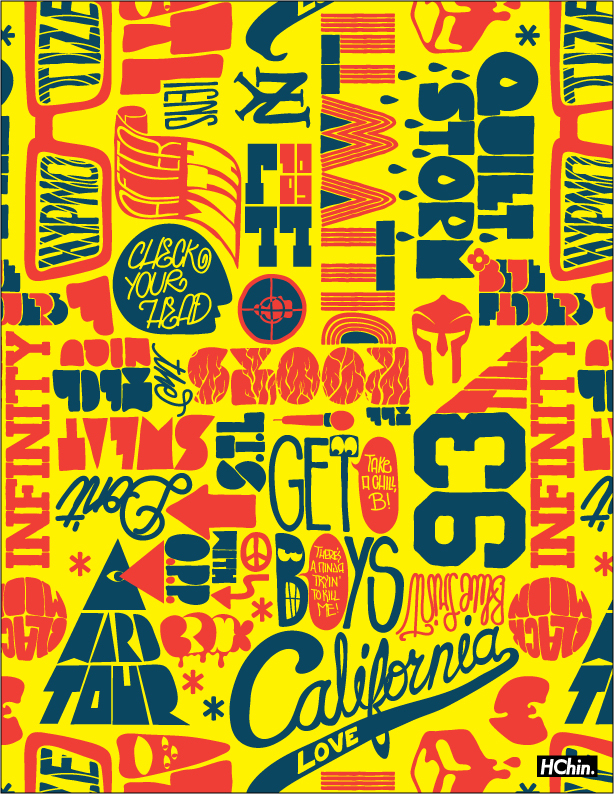 - A pattern created for S.T.L snowboards. Cool Mood. 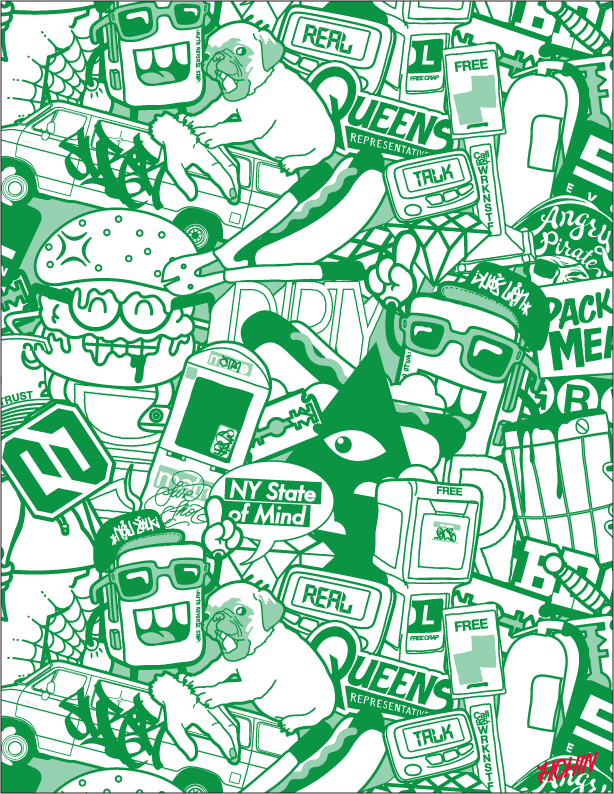 - Another pattern created for S.T.L Clothing in Seoul, Korea. I wanted to capture a cool summer feeling. 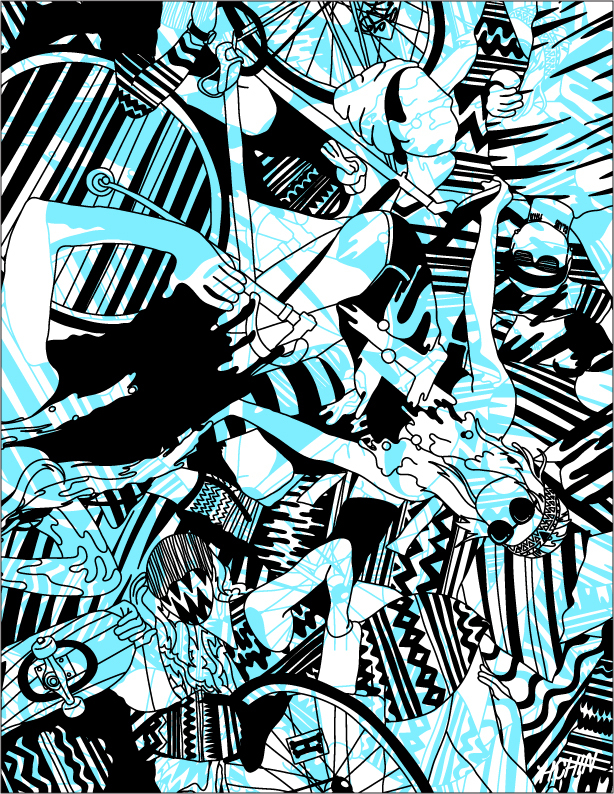 Bikes, girls, dudes, and a sort of tribal pattern mixed in. 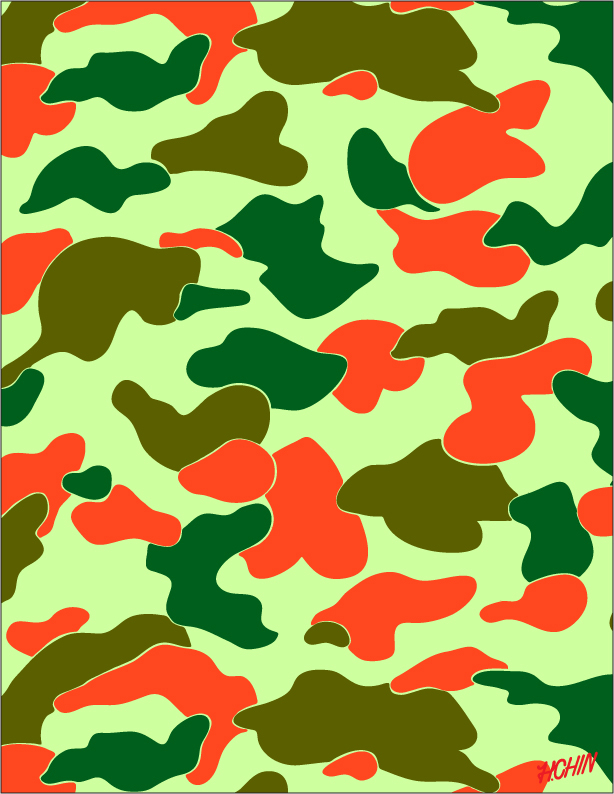 Paint Camo. 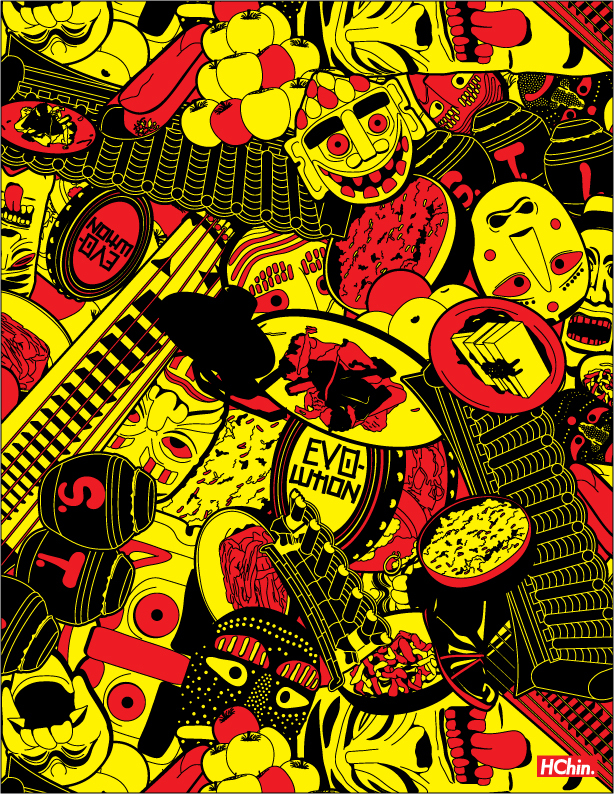 - Full repeat pattern created for STL Clothing, in Seoul, Korea. 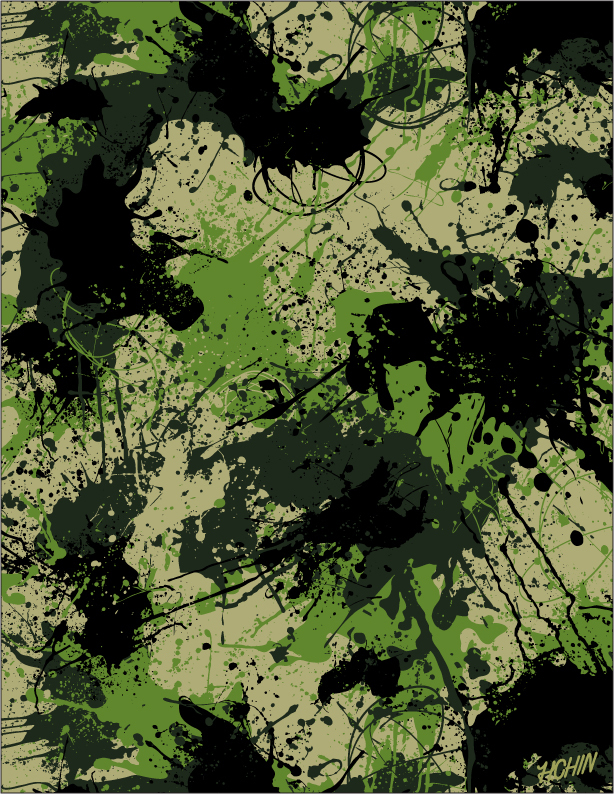 4 Color paint splats and drips camouflage. 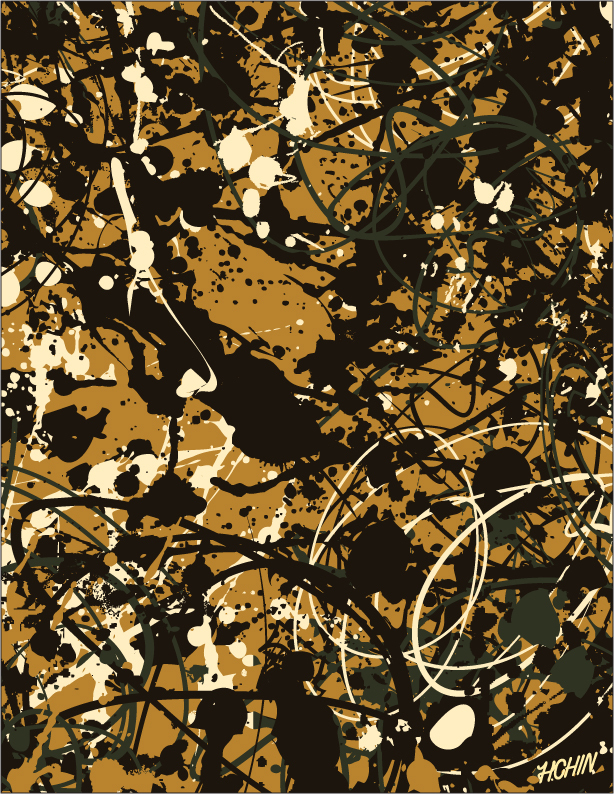 Pollock Pattern. 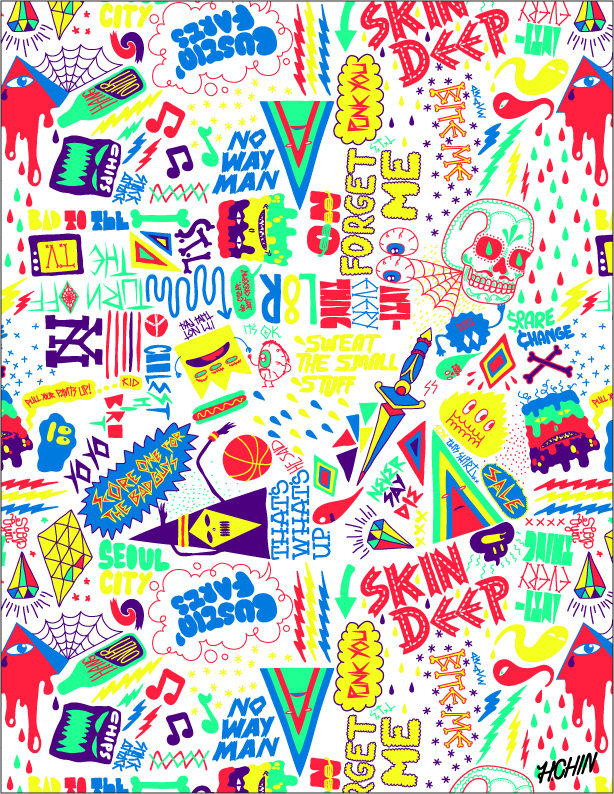 - Pattern created for STL Clothing in Seoul, Korea. Paint drips and splats, Jackson Pollock inspired. Color Spectrum. - Pattern for STL snowboard company. 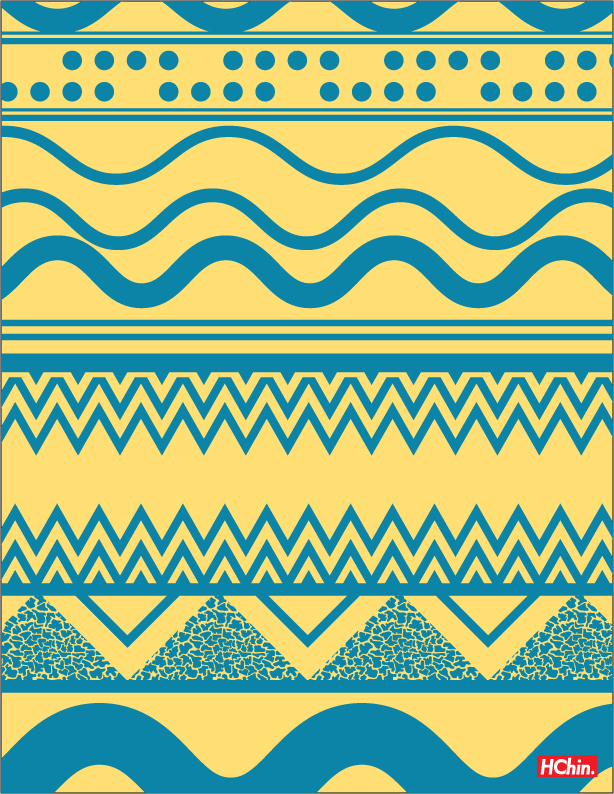 This pattern was created for their summer wake board pants collection. 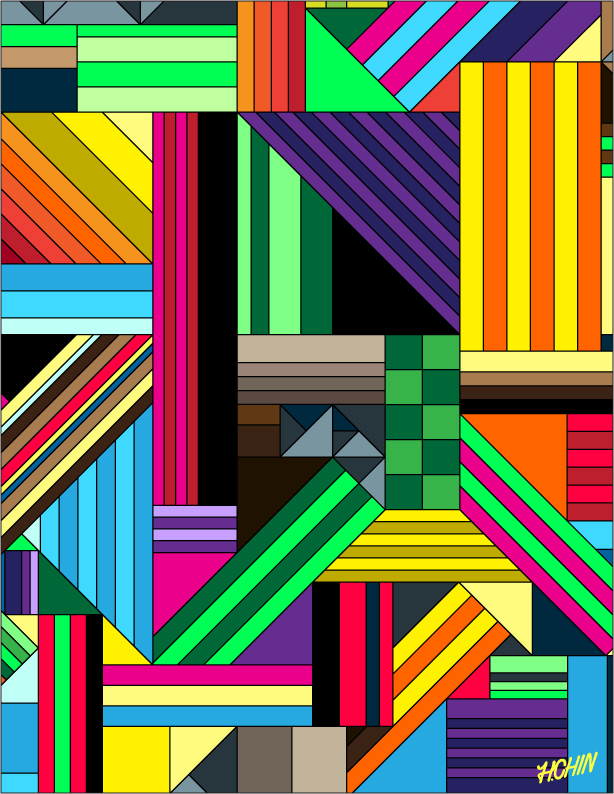 Simple geometric shapes with tons of colors. 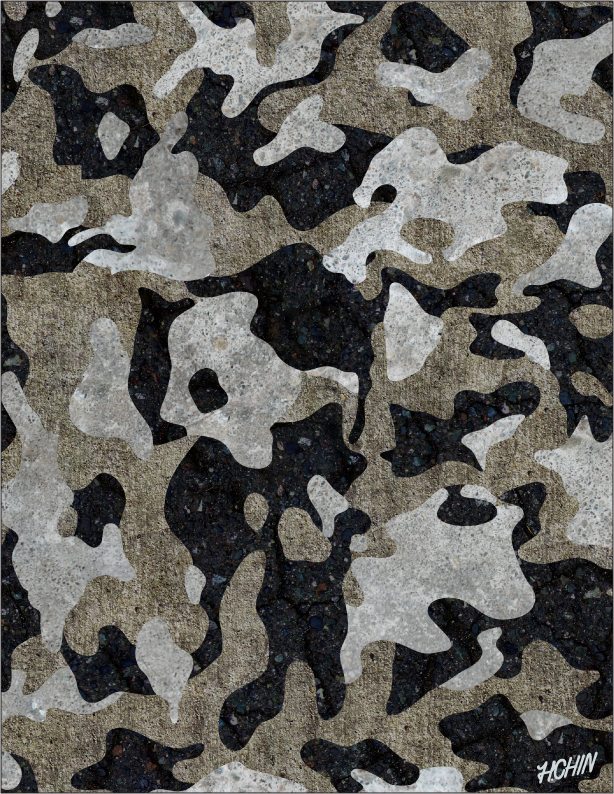 Concrete Camo. 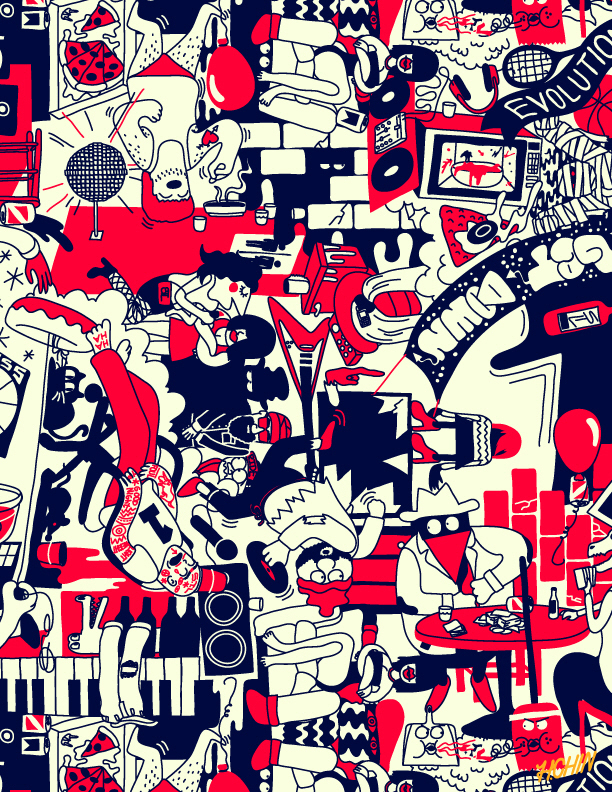 - Pattern for STL snowboard company. Rendered in Photoshop, I created the shapes using three different real concrete textures. Geo Pattern. - Pattern for STL snowboard company. 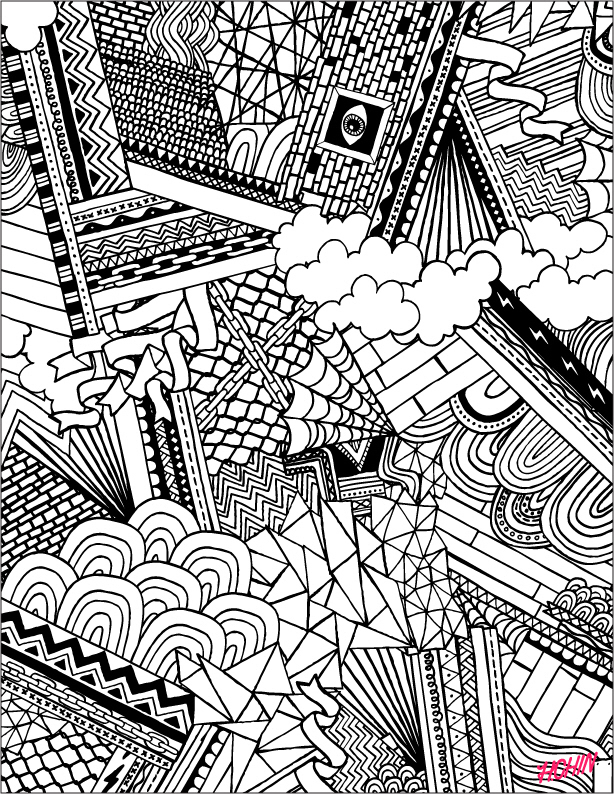 Idea was to create hand drawn patterns within a big pattern. Stenciled. - Pattern for STL snowboard company. 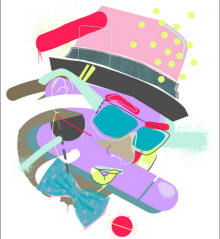 This graphic was created using stencil images for the inner lining for jackets and pants. Office Gangster. - Pattern for STL snowboard company. 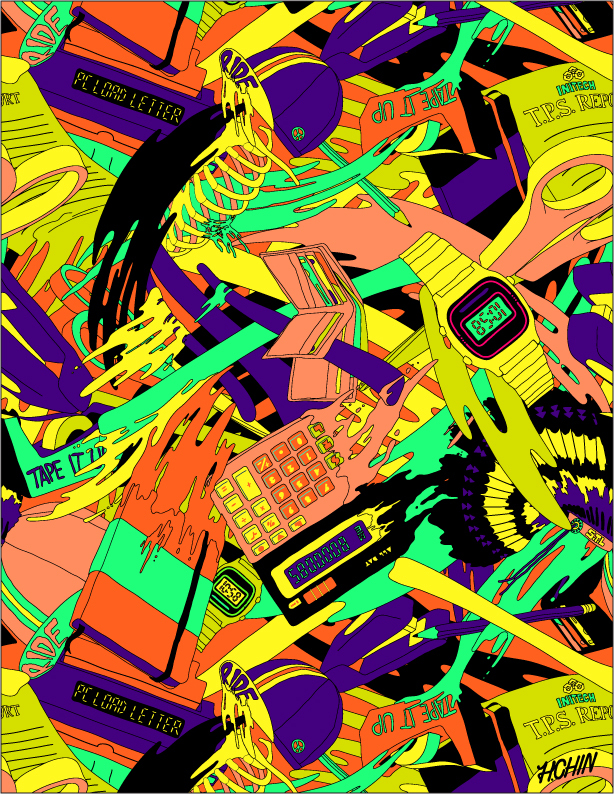 Based on the movie Office Space, and warped with neon chaos. Breath. - Pattern for STL snowboard company. 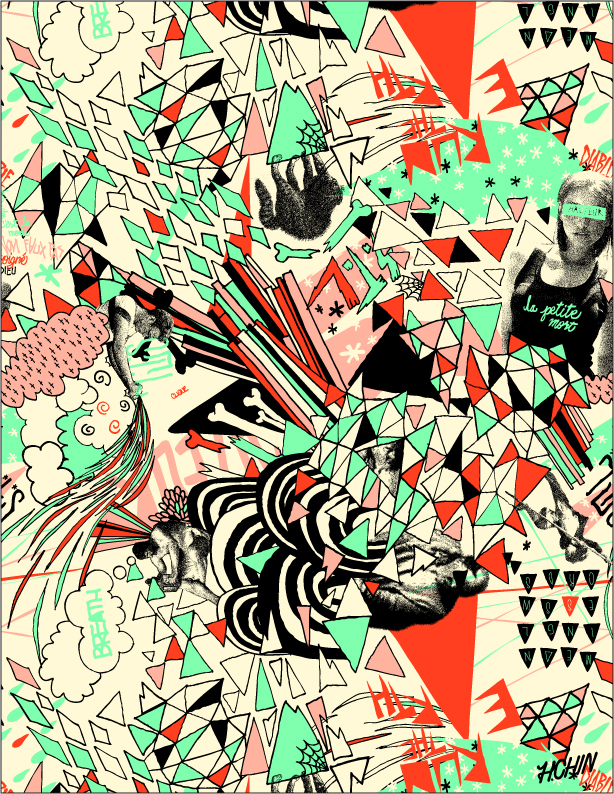 A pattern with a "doodle" theme, and collaged with photographic images. Doodle Sketch. - Pattern for STL snowboard company. Playful illustrations with humorous sayings. Scribbles. - Pattern for STL snowboard company. 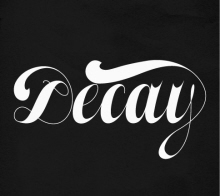 Simple layered type for inner lining. Duck. - Pattern for STL snowboard company. 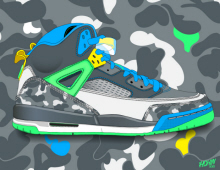 Duck pattern camo. Street Knowledge. - Pattern for STL snowboard company. 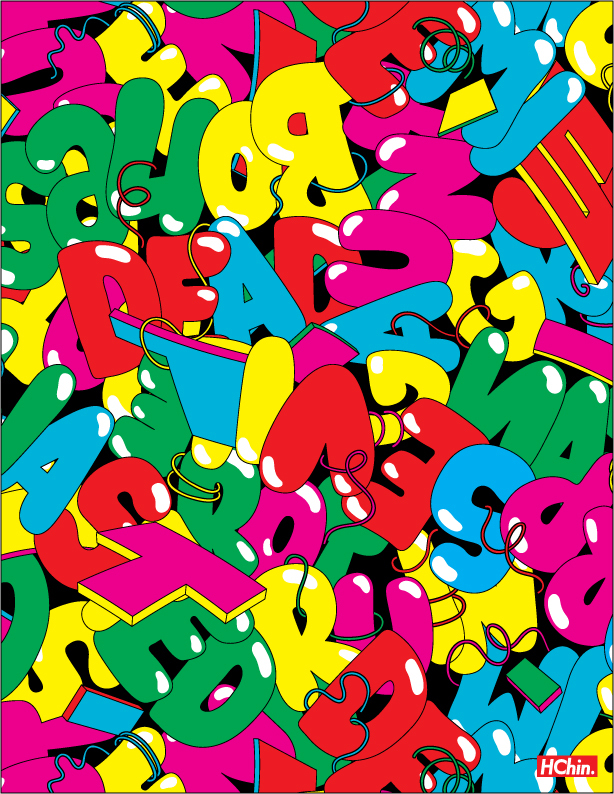 Type and illustration repeat pattern. Party Rap. - Pattern for STL snowboard company. 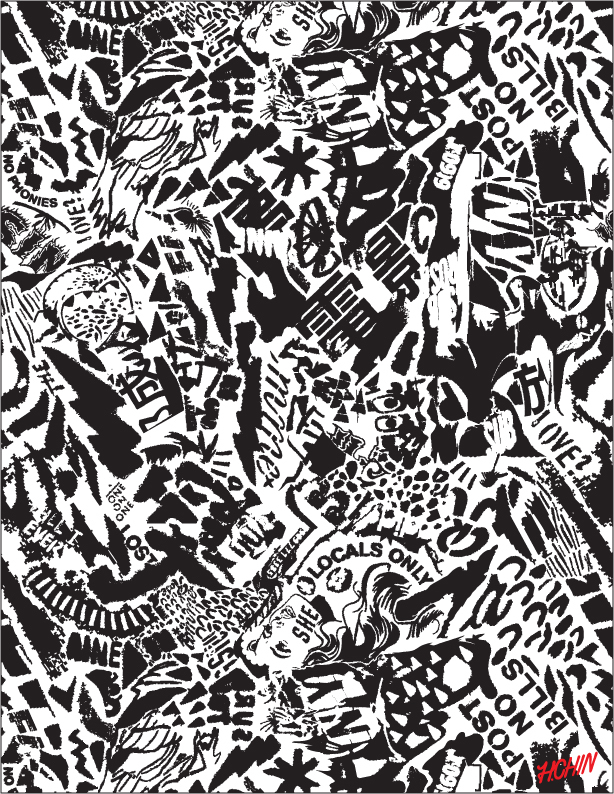 Cut and paste collage pattern. Rock City. - Pattern for STL snowboard company. Sort of obviously done in the Morning Breath style. Rock and roll themed. They're All Alive. 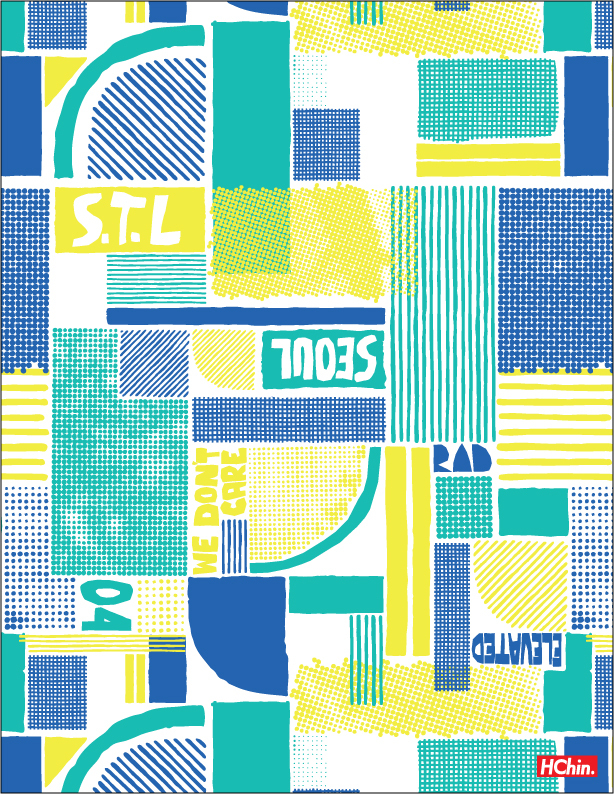 - Pattern for STL snowboard company. 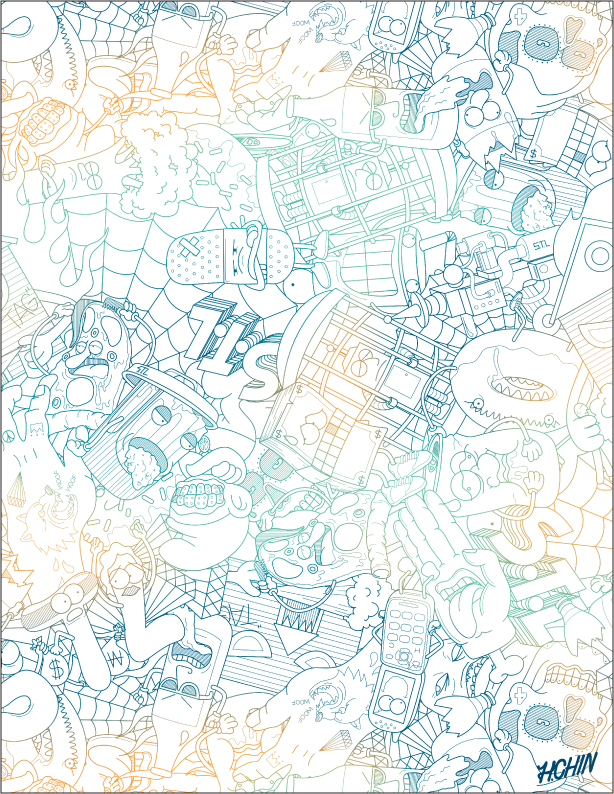 A densely illustrated pattern made up of characters created by myself. 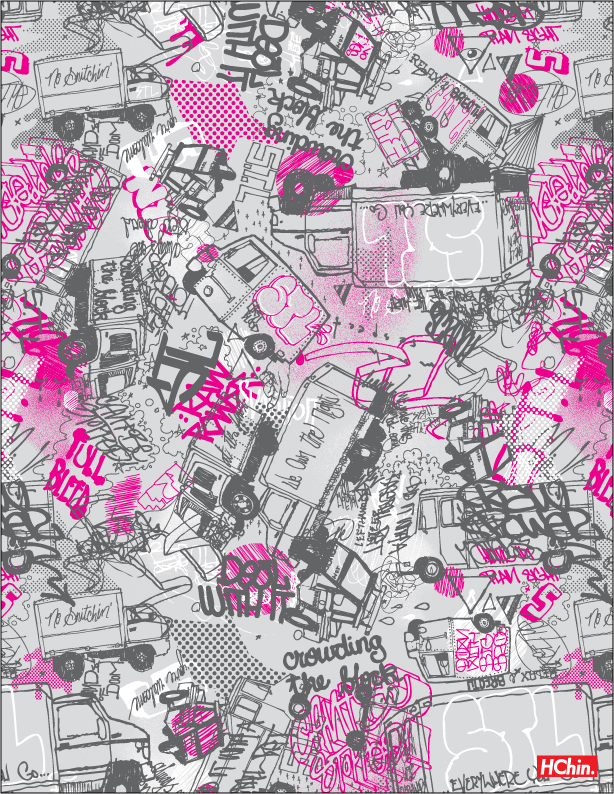 Auto Wreck - Pattern for STL snowboard company. Loose sketched trucks and type. 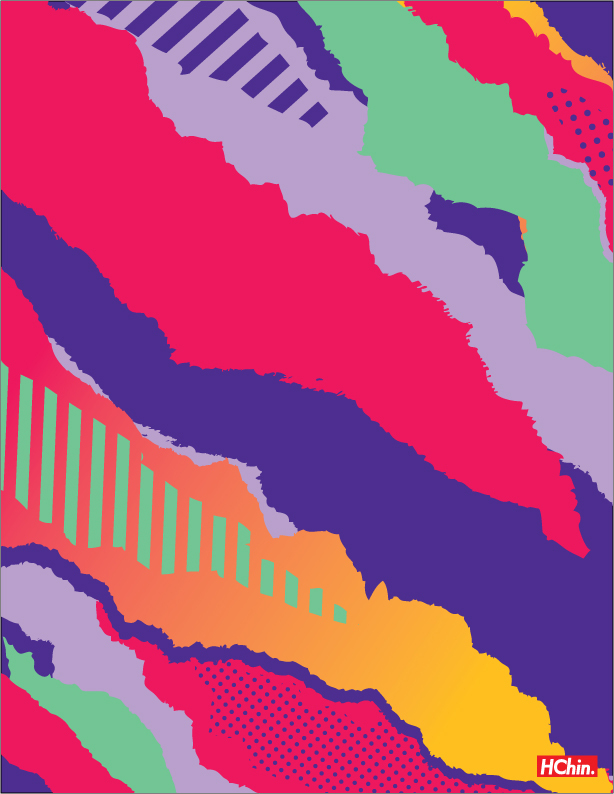 Bubble Pop - Pattern for STL snowboard company. Bubble letters themed to party. 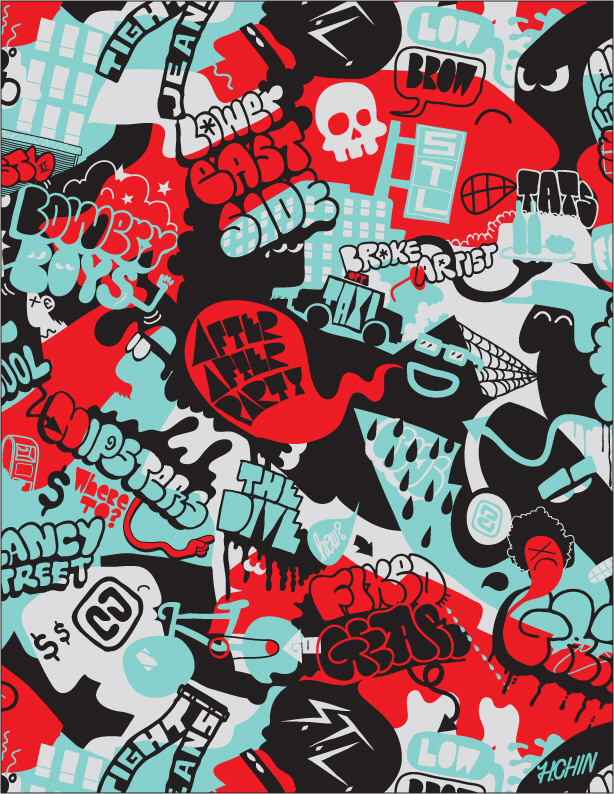 Rap a Lot - Pattern for STL snowboard company. 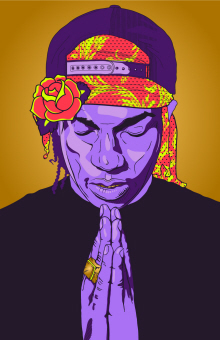 90's rap music pattern. All custom made type. 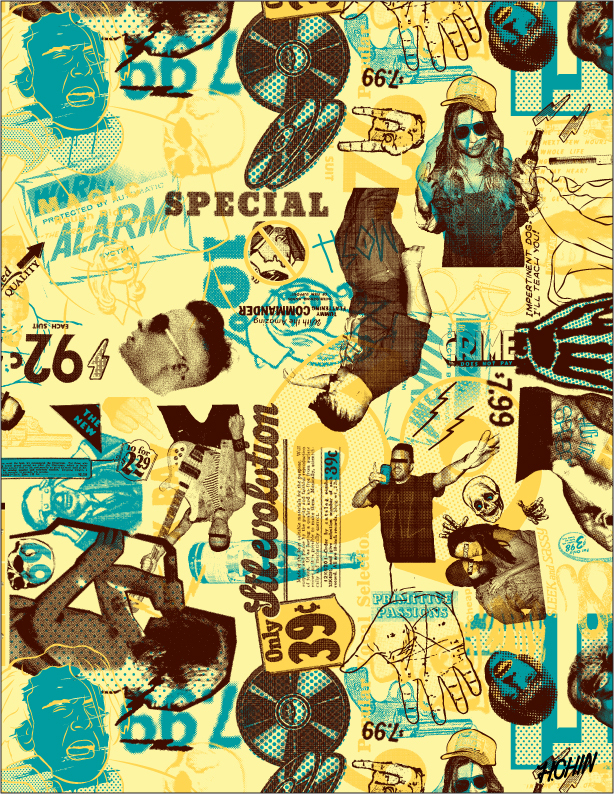 Corea House - Pattern for STL snowboard company. Created for board shorts. Simply themed, "Korea." I wanted to show Korean culture with a sense of denseness and chaos, that I feel when living here. 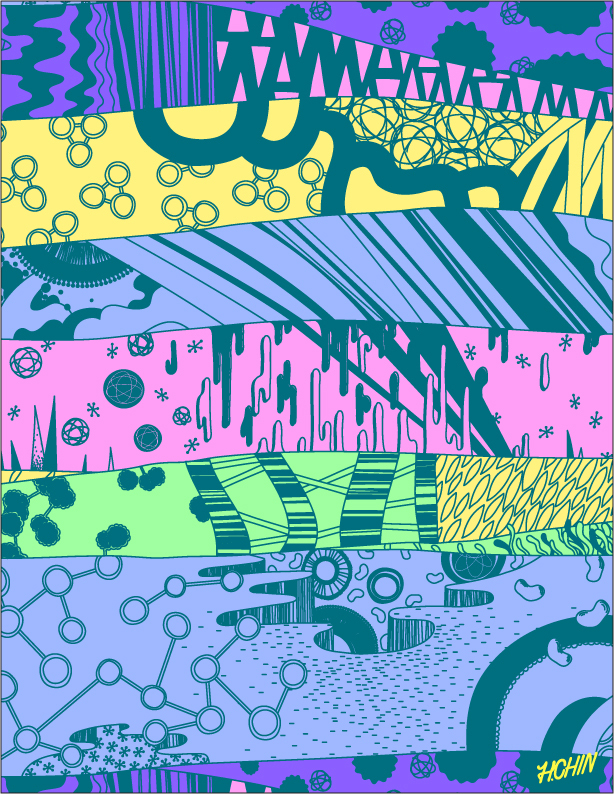 Patchworks - Pattern for STL snowboard company. 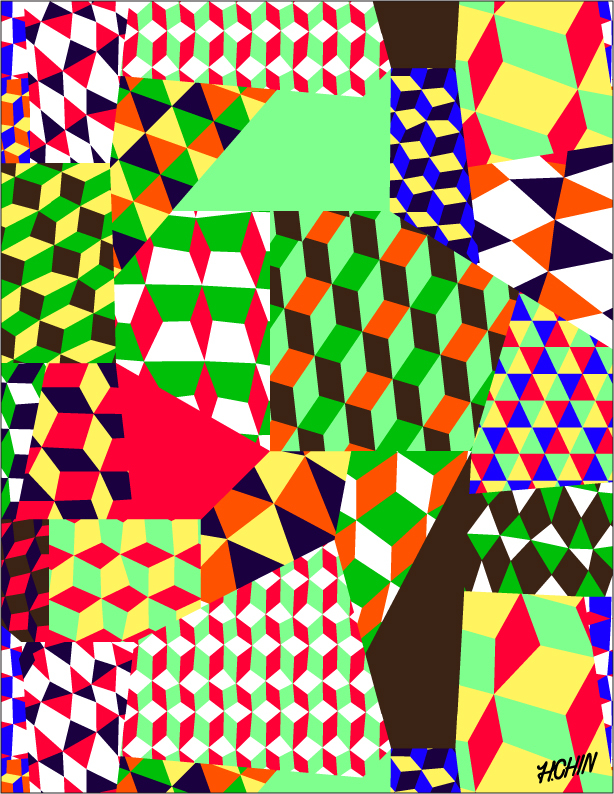 A more graphic and raw pattern using shapes and bold lines. 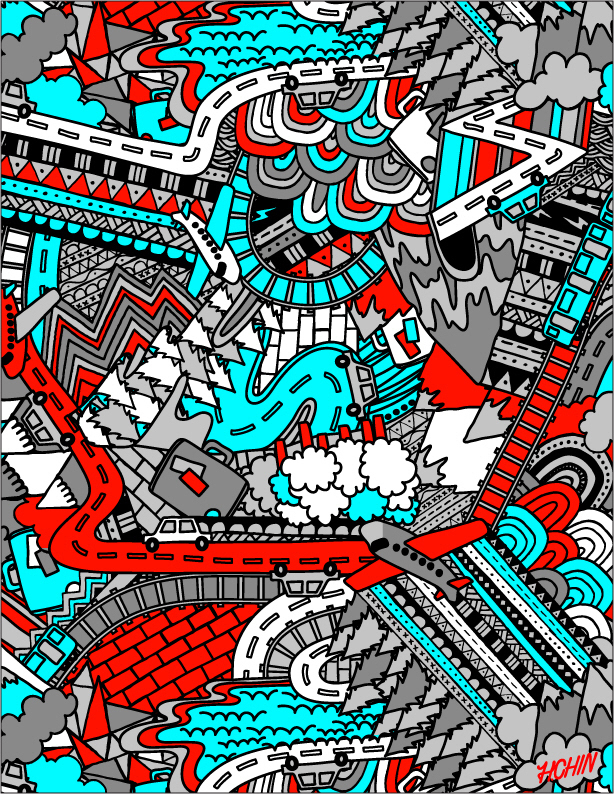 Condo City - Pattern for STL snowboard company. 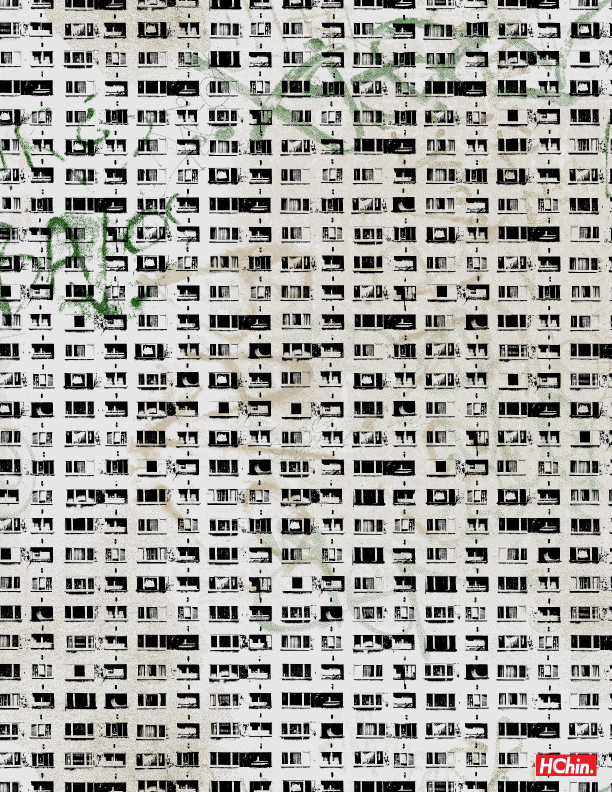 A pattern made up of apartment windows, the effect is that you don't notice until you're close up to the pattern. Punk Rocker. 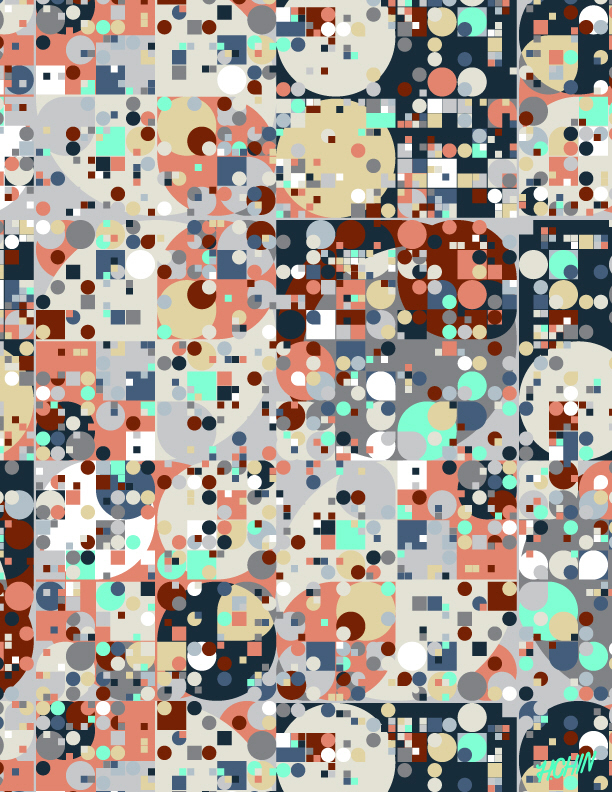 - Pattern created for Acknowledge. 2009. All hand drawn and photo collaged, biker themed pins. 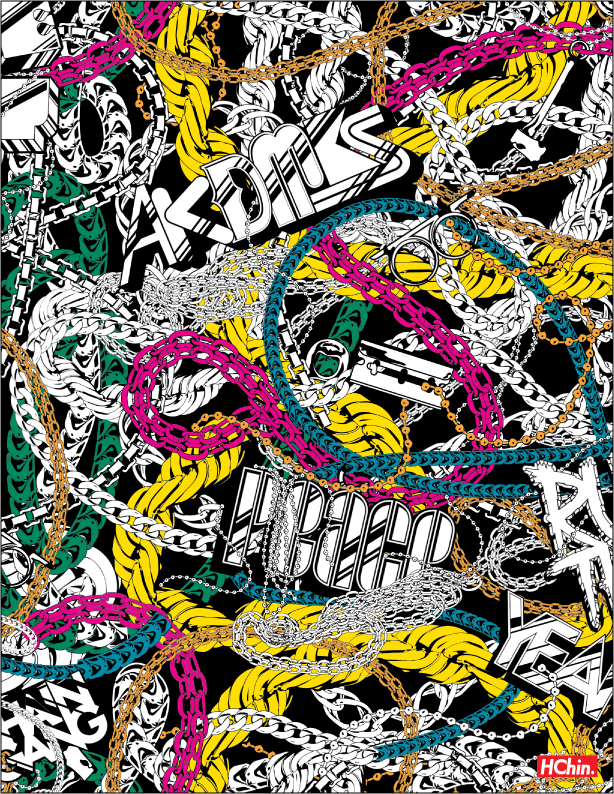 Tatoot - Patterns created for graffiti inspired bags. 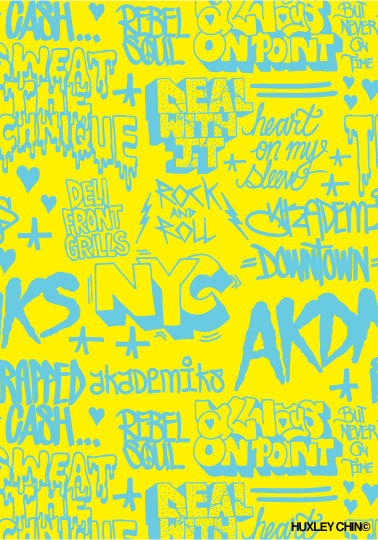 Chain Gang - Pattern for Akademiks. Slick looking and flashy. 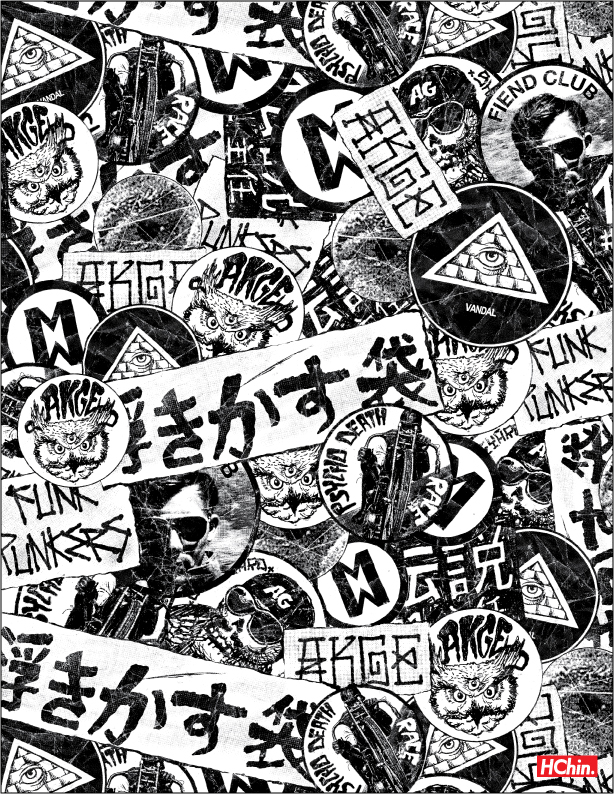 80s rip - 80's style rips and tears.